What goes better with rose gold than a unique, light grey stone? We would like to introduce the GEORGIA set. The set features a delicate chain bracelet with a small gemstone, and matching textured earrings. The earrings have a distinctive geometrical shape, which makes them elegant and easy to wear. 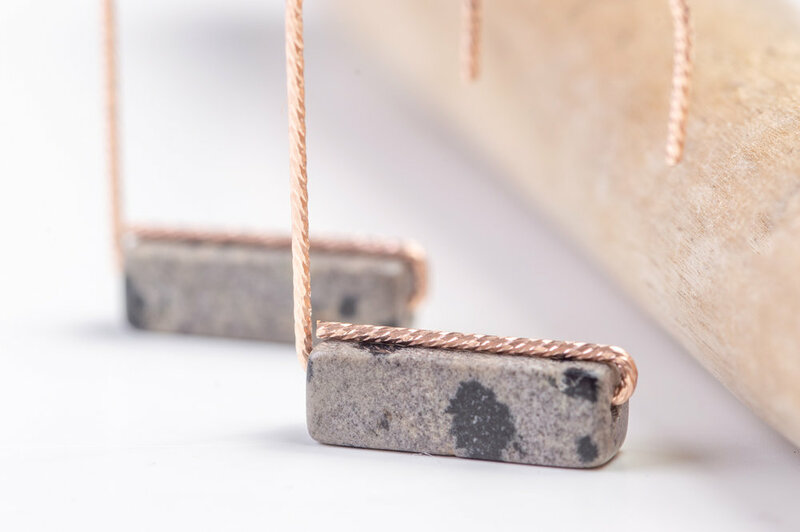 For this set, we have combined 14k rose gold filled and a characteristic gemstone - the Dalmatian Jasper. A unique gemstone, the Dalmatian Jasper is naturally spotted and comes in shades of beige and light grey. It is known to appeal to the child within us, fortifying our spirit and encouraging a sense of playfulness. The Dalmatian Jasper gemstone we use at ZOAJE is an all natural stone, which makes every piece unique. For this set, we recommend adding touches of rose gold, to enhance the stone's features and add that extra shine! We like wearing the earrings and bracelet together, and we LOVE mixing them with pieces from the MALTA set. 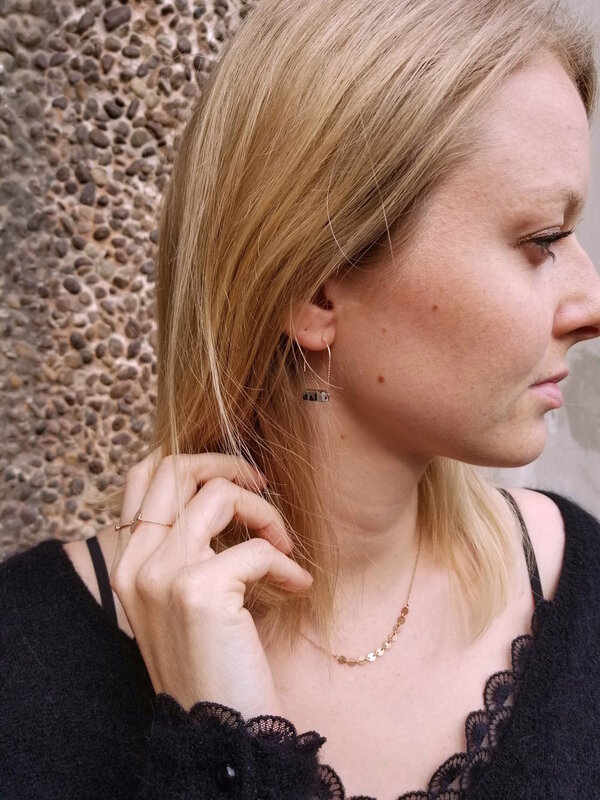 The hammered earrings pair well with the MALTA necklace, as it accentuates the shiny rose gold in the earrings and give you an effortless casual - chic look. One of our favourite combinations of the season is pairing the GEORGIA bracelet with the MALTA bracelet. The rose gold chains give off that fresh spring feel. If you love stacking bracelets, this one is for you! Be it for work or leisure, the GEORGIA set is original and you're bound to be noticed. 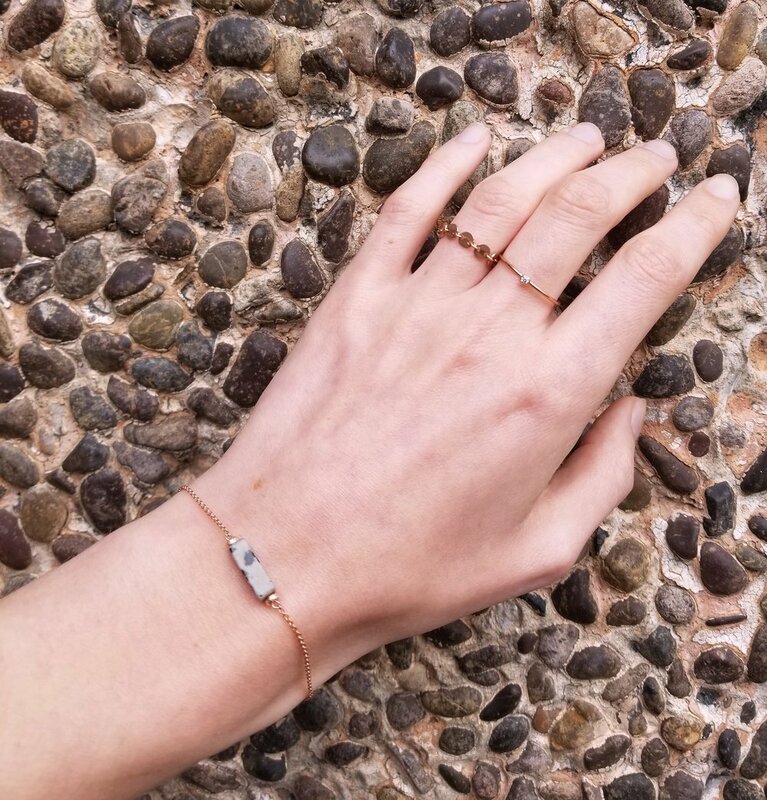 Find the GEORGIA set and more mix & match pieces in 14k rose gold filled, such as the MALTA bracelet, MALTA necklace and FINLAND rings on our website.